At Self Defence Central Dojo, we teach the art of Tsutsumi Hozan Ryu Jujutsu as taught by Shihan Hans De Jong, which has been passed on to him by his father Shihan Jan De Jong. This is the last part of a three part article exploring the achievements and views of Shihan Hans De Jong, who has spent the last 60+ years living the martial arts and continues to share as much of his extensive knowledge and experience with anyone who has the good judgement to listen. 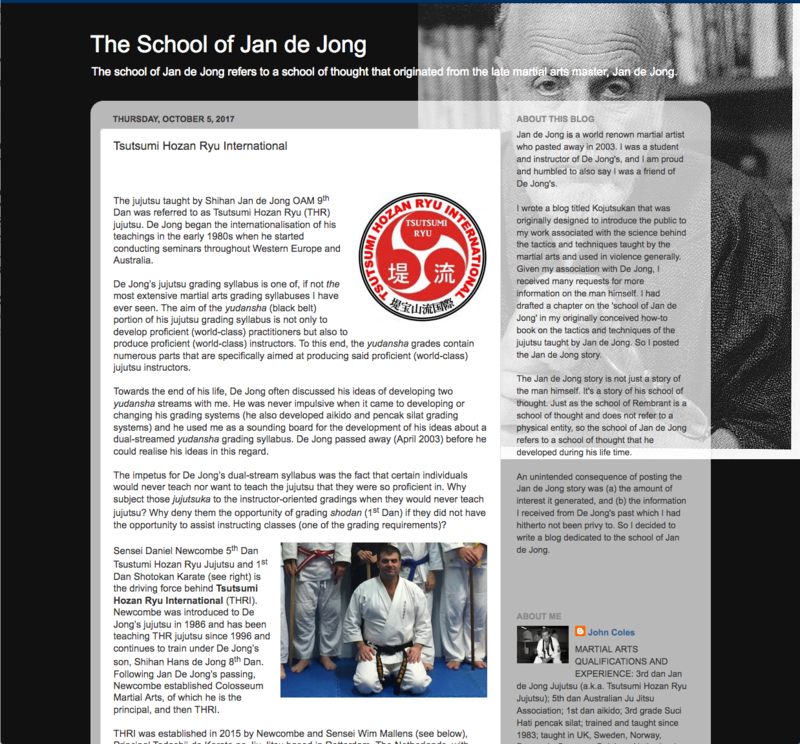 The first part of this article was focussed on the early years (1955 – 1970s), the second part reviewed the significant contributions Shihan Hans De Jong has made to the SAS and Australian Army, the Australian Ju-Jitsu Association, and perhaps the most significant achievement of all, how Hans has taught and mentored the next generation of Tsutsumi Jujutsu Instructors since the 1980s. 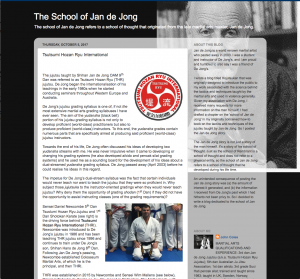 In the final part of this article we will explore the long term connections and relationships between both the Jan de Jong Self Defence School, Shihan Hans De Jong and the current generation of Instructors. It is of some significance that Hans has maintained these lifetime long relationships with students who continue to learn from and respect Hans as both a teacher and a friend. Not only does it highlight the standard of character that Shihan Hans De Jong has cultivated through his own lifetime of living the martial arts, but it sets a very high standard for the next generation to follow. All of the dan graded students of Hans De Jong Self Defence School (SDS), have been training with Shihan Hans De Jong since the mid 1980s. Obviously in the 1980s all were students of Jan de Jong SDS and as Hans ran the northern and eastern suburb branches at that stage, all attended some of the classes. Although some students had different Jan De Jong SDS instructors at certain stages of their respective journeys, when Hans formed his own club, all were happy that Hans continued to teach Tsutsumi jujutsu the “way he learned from his father”. 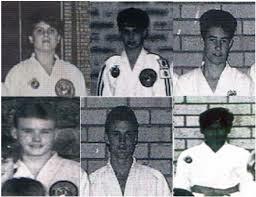 The photos above are Shihan Hans De Jong’s current yudansha (dan grades) from various group photos in the 1980s. Dan Newcombe (top left), Craig Mahar (top middle), Aaron Capes (top right), Warren Holdway(bottom left), Dean Cahill(bottom middle), Andre Diaz (bottom right). 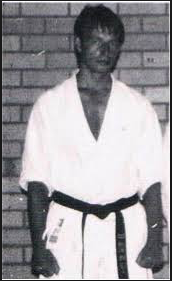 Sensei Wim Mallens has been a long term family friend of Shihan Hans De Jong and has been visiting Perth from his home in Rotterdam, Netherlands since the 1980s to train Tsutsumi jujutsu with Shihan Jan de Jong and Shihan Hans De Jong. In addition, Sensei Wim has conducted Shotokan Karate seminars for the jujutsu students during various visits. Sensei Wim Mallens has been running a successful Shotokan Karate school in the Netherlands since 1981 and has recently been graded to 5th Dan in Shotokan Karate, and 2nd Dan (AJJA), 1st Dan Tsutsumi Hozan Ryu International (THRI) Jujutsu incorporating Tsutsumi jujutsu techniques learned from Shihan Hans De Jong. Sensei Wim Mallens has now introduced the THRI jujutsu techniques into his school, Tadashii-Do which teaches both Karate and Jujutsu. In addition, Tadashii-Do is closely affiliated with both Hans De Jong Self Defence School and Self Defence Central Dojo, and Shihan Hans De Jong and Sensei Dan have visited and taught at Tadashii-Do annually over the last decade in addition to assisting Sensei Wim with grading his jujutsu students. 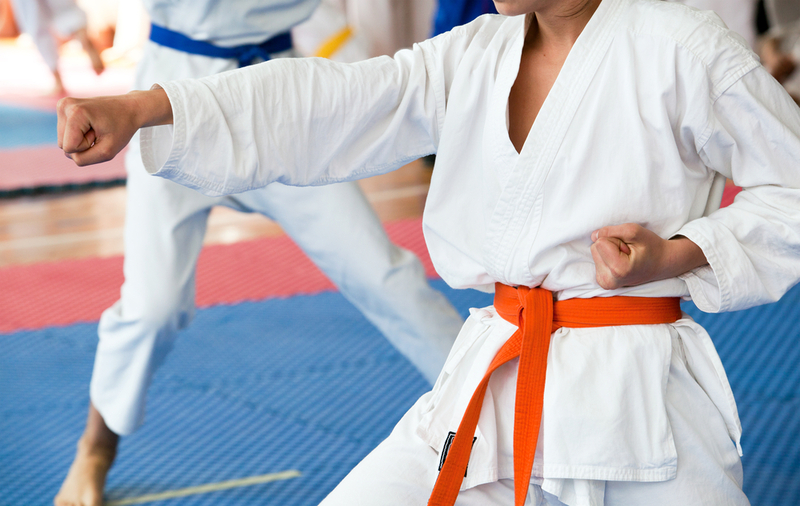 Sensei Dan Newcombe’s family involvement is a typical example of this. The photo below, taken around 1958 at the Swan River Rowing Club has Sensei Dan’s father and uncle, Ron Newcombe (father) and Joe Newcombe (uncle) in the group photo. 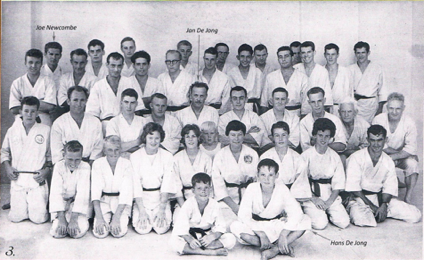 Shihan Jan De Jong and Margaret De Jong (Jan’s wife) are referenced in the back rows. Joe Newcombe was a policeman and would perform demonstrations with Jan during the late 50’s. Jan and Margret always remembered the families’ involvement and even when Sensei Dan was training as a beginner in the late 80s, Jan and Margret would often ask how Ron and Joe were, some 30 years after they were training with them. 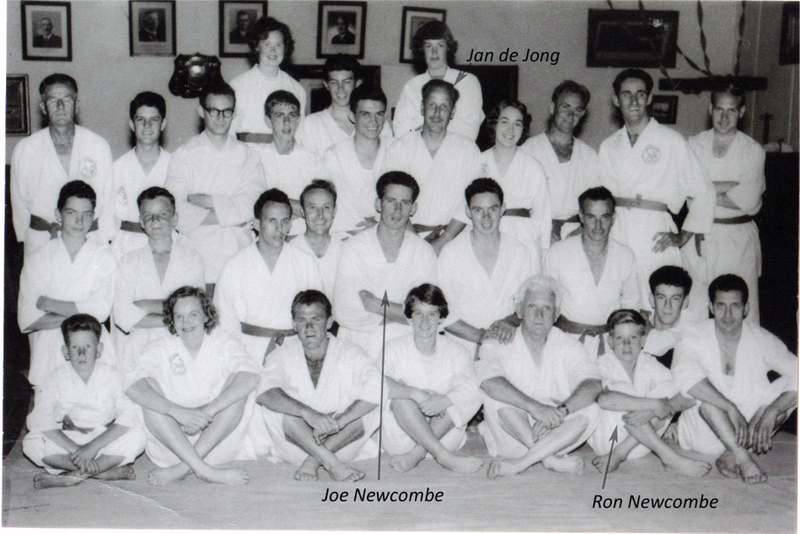 The photo below has Joe Newcombe, Shihan Hans De Jong with Shihan Jan de Jong in the late 50s. Sensei Dan received his 1stDan black belt in 2006 and in early 2010 Sensei Dan started teaching jujutsu with a small group of students at his home dojo. Soon after this in 2012, Dan bought into the “Colosseum Gym” in Joondalup and continued to grow his self defence club from this location for almost 3 years. 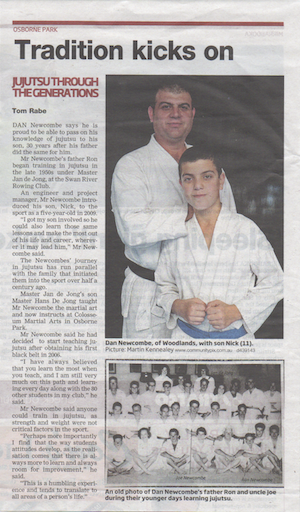 During this time in addition to teaching several classes a week at Joondalup and building a dedicated group of students, Dan was teaching a smaller growing group of students from his home dojo in Woodlands. As a consultant engineering manager taking Sensei Dan around the country on a regular basis the ability to manage a large gym of 600+ members and keep all the self defence classes operating took its toll on occasions, and without the support of Shihan Hans De Jong and Sensei Dan’s friends from Hans De Jong Self Defence School to assist on these occasions it would have been very difficult to keep the club operating. In 2014 the classes at Sensei Dan’s home dojo were starting to exceed capacity and at the same time a competitor gym operator in the Joondalup area made an offer to buy the Colosseum Gym business. This fortunate timing resulted in Sensei Dan buying the Totalworx Gym in Osborne Park closer to Woodlands and central Perth which provided the ability to centralize all self defence students in a dedicated dojo. 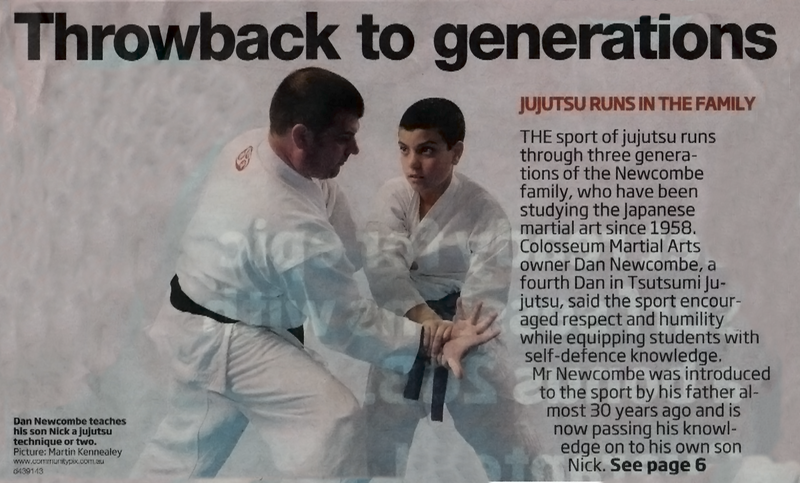 For 4 years now the jujutsu club has been steadily growing from the Osborne Park location and a new generation of de Jong (Tsutsumi) Jujutsu students are enthusiastically walking the same path as students in Perth from the 1950s. Based on the long history studying and training de Jong Jujutsu, Sensei Wim Mallens from Tadashii-Do in the Netherlands started to teach jujutsu in his karate school, Tadashii-Do. Sensei Dan first travelled with Shihan Hans De Jong to Europe in 2009 and to the Netherlands in 2011 to assist Hans at jujutsu seminars. It was during these first trips that Sensei Wim and Sensei Dan started to discuss how to manage introduction of the comprehensive jujutsu system to Tadashii-Do. Being one of the most comprehensive jujutsu systems in the world with an international reputation for high quality and effectiveness in self defence, and in particular the quality of instructors, this was no simple task. Over a 1-2 year period Sensei Dan spent many weeks, with some input from Sensei Craig and Sensei Andre preparing a modular approach to the grading system which retains all the historical techniques from the JDJSDS and HDSSDS while also providing the new generation of students the ability to learn teaching, traditional weaponry (sword, stick and chain) and of course the same jujutsu gradings in a more modular and accessible way. 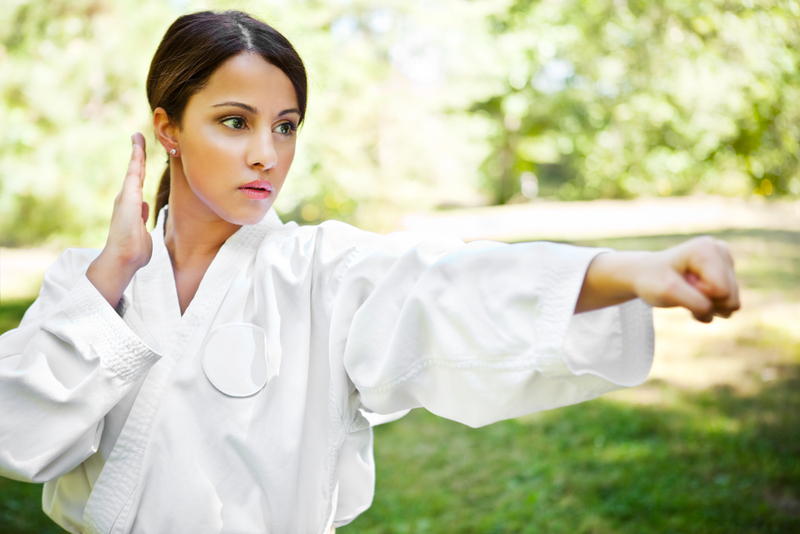 In addition, the standard approach would permit Self Defence Central Dojo and Tadashii-Do to provide common gradings and quality between Australia and Europe. To continue this close collaboration Sensei Dan has been travelling to the Netherlands annually for the last 7 years and Sensei Wim has also been travelling to Australia to train with Shihan Hans De Jong and Sensei Dan. While this effort has not been without its challenges, it has been very rewarding to see the first group of 1stKyu students (black&white belt) grading both in Perth and Rotterdam over the last few months in 2018 with a very high standard. Throughout recent times, Sensei John Coles has been providing input, advice and support to Sensei Dan. Sensei John Coles is the author of the Kojutsukan and School of Jan De Jong blogs and a long time Sensei for the JDJSDS.